Get an amazing, cardio workout at an affordable price with the Weslo cardiostride 3.0 Treadmill. This user-friendly, maintenance-free Treadmill is equipped with everything you need to lose weight and get fit. The compact design of this fitness machine fits anywhere and requires no electrical power. The Weslo cardiostride 3.0 Treadmill is smooth, quiet, lightweight and portable. 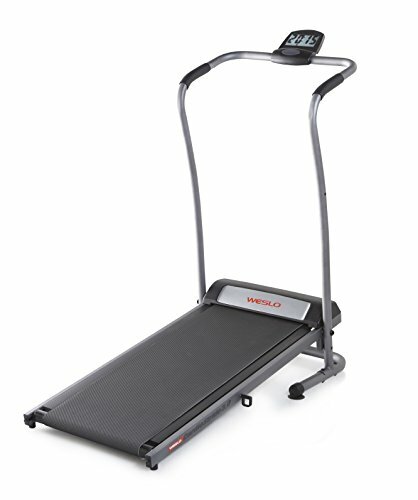 Featuring a two-position incline, 17 x 41 walking treadbelt and a built-in workout display, you get all the features you need without breaking the bank.